DJ was sent to Hawaii for a work trip in April of 2008. It was a real hardship! 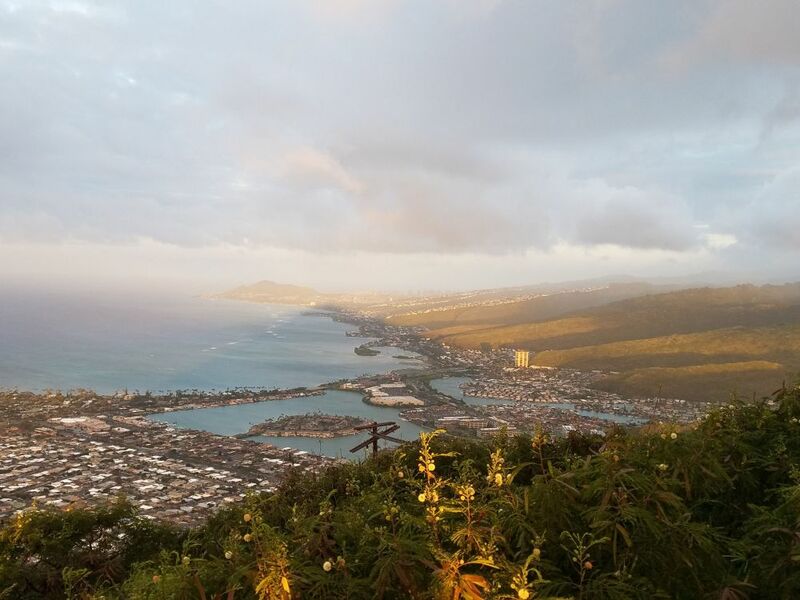 On morning #2, we woke up super early and went hiking up Kokohead. This was a view of the nearby town on the way down.